If you are looking for a virtualization app with cross-platform support, you can’t go wrong with VirtualBox. It is the preferred choice of many Linux users because it is both free and open-source. Let’s take a look at how you can install Ubuntu VirtualBox. You can use either the official repository of your Linux-based operating system or Oracle repositories. We will show you both methods so that you can choose the one that works best for you. If you want to be among the first ones to receive new updates of your software, you may want to install using the Oracle repositories. The Ubuntu repositories are updated fairly regularly, but as frequently as the Oracle ones. What Do You Need to Install Ubuntu VirtualBox? First, you will need an Ubuntu operating system. Keep in mind that this tutorial will work on Elementary OS, Debian, and other OSs based on Ubuntu. There is absolutely no difference in the installation process. Apart from that, you will need an active internet connection, as well as an account with super-user permissions. Make sure to use either the root account or add “sudo” as a prefix for all the commands listed below. 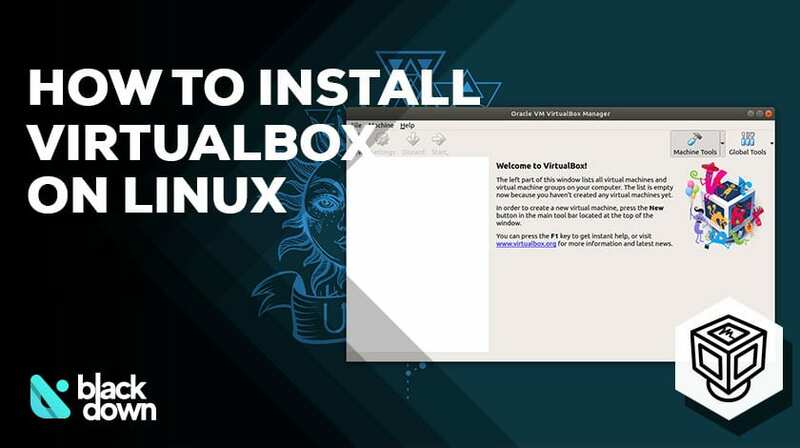 We will start with the simpler method of installing your VirtualBox from the official repositories of your operating system. The system will immediately start the installation process and finish it in a minute or two. As we mentioned, this method is a bit more complicated, but it is still fairly simple. The biggest advantage is that you will probably get new updates more quickly. add-apt-repository "deb [arch=amd64] http://download.virtualbox.org/virtualbox/debian $(lsb_release -cs) contrib"
If everything is okay, the system will now install Ubuntu VirtualBox. However, you may get an error message in case the system doesn’t find the command. That indicates you do not have “software-properties-common” package installed. That shouldn’t happen, but it is one of the prerequisites for this type of installation, so make sure to add it and then run the command above again. Once you complete the previous step, you can continue with the final one to complete the installation. The installation process should complete in a minute or two, and you will be ready to start using the app right away. If you used the Oracle method to install VirtualBox, we would suggest that you also install the extension pack. The pack will add various great features for guest machines, including but not limited to image encryption, RDP support, and virtual USB. The only thing to pay attention to is that the pack you are downloading matches the version of the software you have installed on your system. Please note that you will have to confirm that you agree on T&Cs. The system will confirm that the installation process started and that it was finished. Head to Activities, and choose VirtualBox. You can type “virtualbox” in the command line. The outcome should be the same regardless of the method. You will notice a welcome screen with a short introduction to the app. If everything went as planned, you can now use Ubuntu VirtualBox and enjoy all its benefits. The app is relatively simple to use and incredibly useful. It allows you to graphically manage virtual machines, which many would agree is the easier and better way.